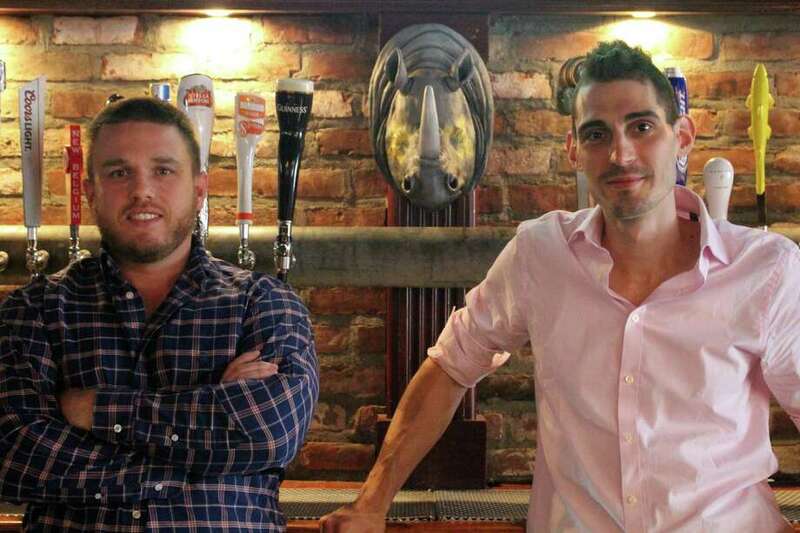 Owners Casey Dohme, left, and Matt Bacco are preparing to open a new Blind Rhino location in Bridgeport. 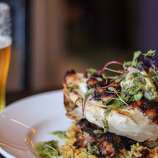 After three years of running the Blind Rhino, owners Casey Dohme, Matt Bacco and Jamie Pantanella are looking to add their downtown Norwalk vibe to the Black Rock mix. The new sports bar, of the same name, will open at 3425 Fairfield Ave. in Bridgeport. Not long after opening the first location, the trio started searching for a second spot, setting their sights on making their way up the coast. “It’s nice to get it in motion and start the process,” Dohme said, stating that development of the new space is underway as they plan to open in the former Black Rock Sports Cafe. 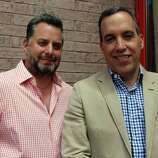 In a community filled with local bars and restaurants lining Fairfield Avenue like the Hub and Spoke, opening in Black Rock made sense, Bacco said, adding that a portion of their customer base comes from the area. The trio opened the original bar in 2015 at 15 N. Main St. in Norwalk in the former Bradford’s location. Bringing years of experience in the restaurant industry to the area, the co-workers-turned-owners have spent the last few years building their reputation among residents in western Fairfield County. Roughly a year after opening the sports bar, Dohme said they began searching for another location, eventually deciding to lay down roots in Bridgeport and reach what they thought was an untapped market. With practically a blank canvas of a location, Dohme and Bacco are looking to bring something different to the nightlife scene while also staying true to the features that made their first location a hit, specifically with the color scheme, furniture and overall atmosphere of the bar. The sports bar will stick with its TV-lined walls and its list of bar games like foosball, shuffleboard and darts. The newest addition, however, will be a bocce court that will be featured on the patio. “You’re definitely going to recognize that it’s a Blind Rhino,” Bacco said. The new sports bar will feature a similar menu as its predecessor, with Angel Rodriguez serving as the executive chef. The trio are bringing popular selections like Blind Rhino’s Rodeo Burger, Cuban Rhino and award-winning chicken wings and sauce, which earned recognition in the 2017 and 2018 Connecticut Wing Fest. The space will also feature a 24-tap bar that will serve a rotating list of craft and domestic beers. While development of the space is is moving quickly, Dohme and Bacco said they haven’t set a specific timeline or opening date as they look to hire and get the new location ready for the public.